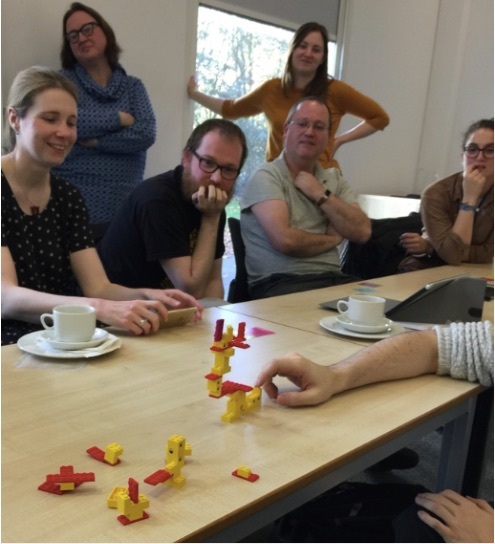 I wanted to create a game to help groups of staff and students who didn’t know each other well, to work together as teams in a short timescale. 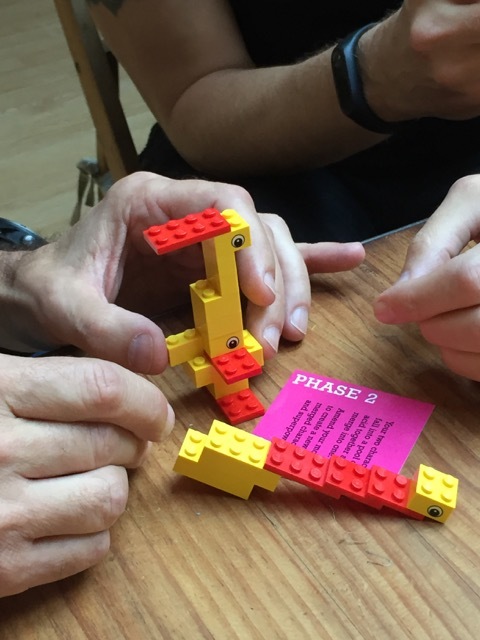 I came up with the idea of scaffolding the teamwork from an individual level, to pairs, to fours, up to groups of 16; allowing people to get to know each other at each stage – whilst focusing them on creating something together. I wanted to use storytelling at the heart of the game, and also to have something tangible that the teams could create. 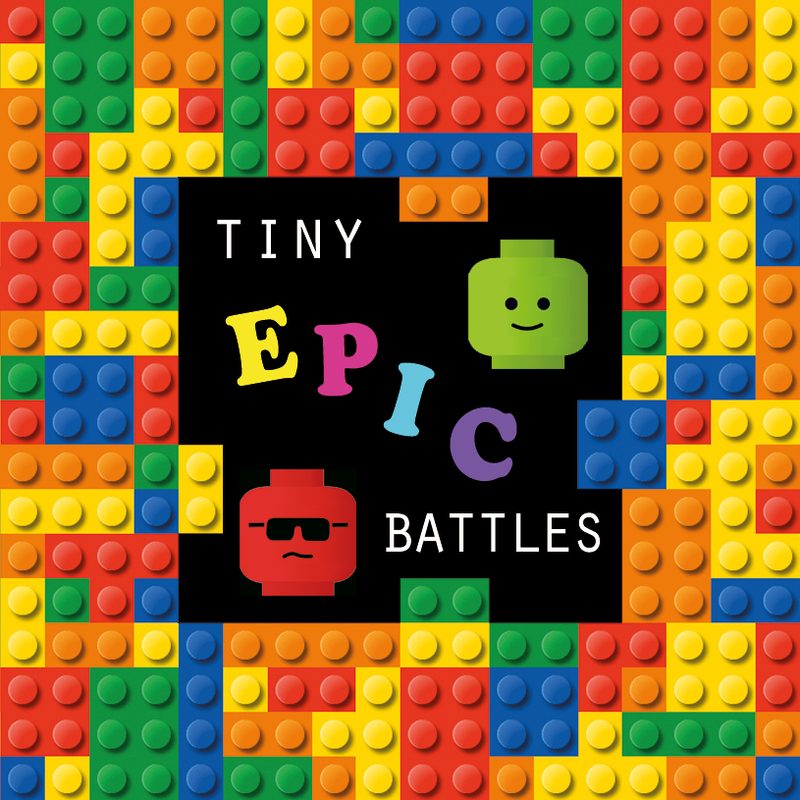 After a few iterations and several playtests with small and larger groups, Tiny Epic Battles was formed. TEB works with groups of up to 32. It is played over five rounds, over which superheroes are created, merged together, defeated and amalgamated, and finally two massive superheroes battle in an epic good vs evil showdown to save or destroy the universe. Players create representative models of their superheroes at each stage (using simple Lego bricks, plasticine or some other material that can be connected together with itself), and are encouraged to create increasingly epic stories as they go through each stage. The final battle is played out over three ‘attacks’, with the facilitator or an independent judge awarding points to find the winning side. Tiny Epic Battles comes in a small box with 35 cards, containing all the instructions for the facilitator and the players. You will also need a small collection of lego or plasticine for each player (I use Lego ‘duck’ bricks – 6 standard bricks with one containing eyes, which works well). TEB is available to buy for trainers and teachers: please contact me if you’d like to order the game. I’m also interested in those wanting to try using the game for other purposes in Higher Education: please contact me if you’d like some print-to-play cards for this purpose, in return for providing feedback to me. Curiously, although the ‘good vs evil’ theme engages players throughout, at the end of the game the teams who form the ‘evil’ superhero tend to create more creative narratives, and therefore tend to win. When running the game at Play 14, Ellen Johannsen noticed this, and saw potential in it as a basis for other training or development areas. We have been working together to think about this, and ran a workshop at Playful Learning 2018 to ask other educators/trainers to think about the role of the ‘good vs evil’ theme, and how it affected their teams and approach. Those on the ‘evil’ team felt free to create any story they liked; whilst those on the ‘good’ team felt that they were constrained by moral and ethical themes (even though there are no rules or guidance for either side in the game).